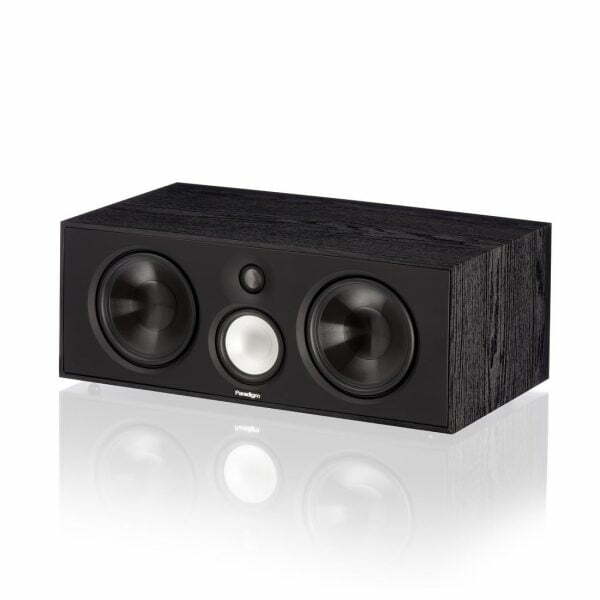 The Paradigm Monitor Center 3 Series 7 Center Channel Black is the perfect addition to any home theater systems. 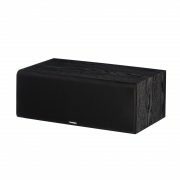 This center channel has great sonic architecture and will stand the test of time. When it comes to getting value for your money, it doesn’t get better than the Monitor Series 7. Since it’s inception, the Monitor Series has been a favourite of audiophiles on a budget – with Series 7, that hasn’t changed. It took three emperors and 15 years to build Rome’s colosseum, architecture that still elicits awe centuries later. And while we’re not so bold as to compare the colosseum to the new Paradigm Monitor Center 3 you have to admit the speakers look more than a little awesome in the backdrop of Ancient Rome. Good architecture will stand up well over time, as will good sonic architecture. Our Monitor Series 7 is a classic example. Now in its seventh iteration, each new generation is an opportunity for refinement: design innovations from our higher-priced reference lineups, reference-quality component parts, cabinets and even finishes! When it comes to getting value for your money, it doesn’t get better than Monitor Series 7. Since its inception, the Monitor Series has been a favorite of audiophiles on a budget — with Series 7, that hasn’t changed. We can’t promise it will still be around in two thousand years, but we can promise it will play louder, plumb deeper, look smarter and sound better than any other brand in its price range. Advanced S-Pal™ Satin-Anodized Pure-Aluminum Bass/Midrange Cones. First seen in our Paradigm Reference lineup, very high stiffness-to-mass ratio and outstanding internal damping. The result? 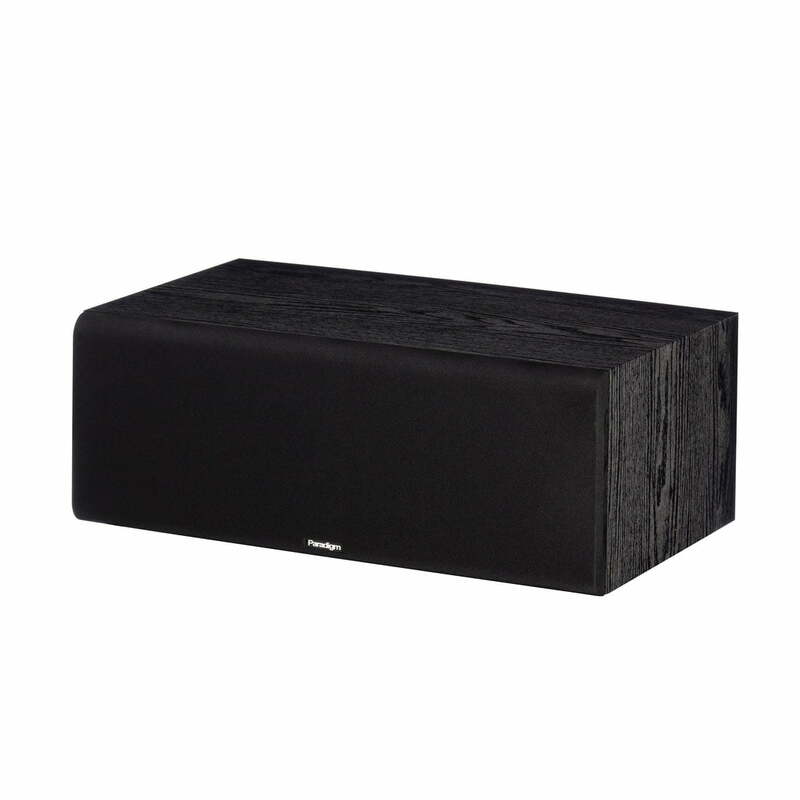 Remarkable midrange clarity, superb extended bass response and freedom from unwanted resonances and distortions. 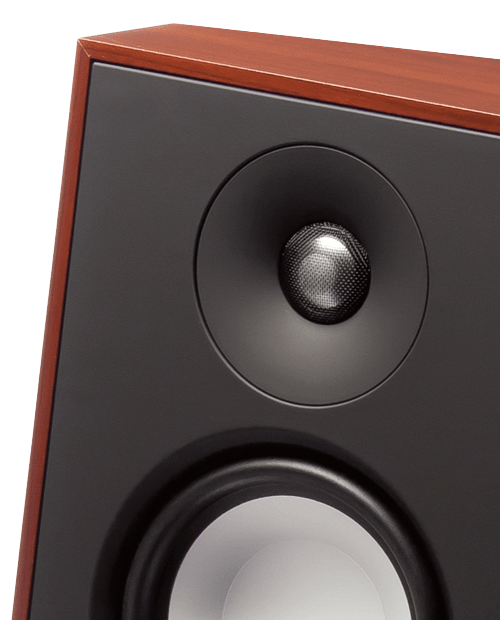 In an affordable audio category – unbelievable quality from the Paradigm Monitor Center 3! Advanced Carbon-Infused Injection-Molded Polypropylene Bass Cones. The high mineral content and injection-molding process have created a durable and rigid cone with affords us bragging rights for cone consistency and repeatability. with powerful neodymium magnets and ferro-fluid cooling for increased power handling! Highs are more soaring and spacious, crystal clear and undiluted even at the higher bandwidths. Wire Mesh Tweeter Guard and WaveGuide™. 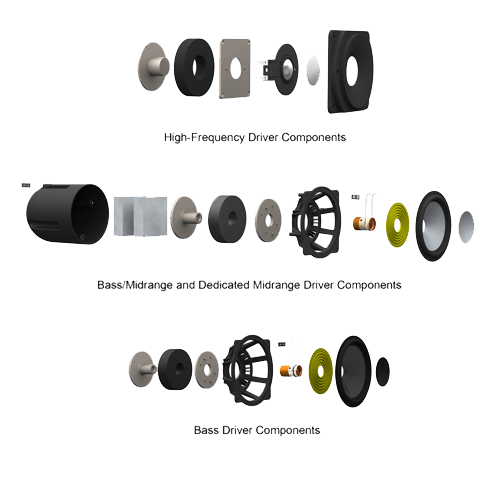 More Reference technology, ensuring a smooth, wide panorama of audiophile-quality sound. Wire mesh protection for the pure-aluminum tweeter. 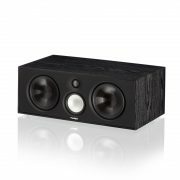 Sophisticated crossovers in an affordable audiophile product! Again, it’s almost unheard of: polypropylene film or bipolar electrolytic capacitors, air core and laminated core inductors, high-power resistors. Crossover topologies are first and second-order with corresponding acoustic slopes of second and third-order providing optimal bandwidth and seamless integration as drivers cross over. Despite fewer drivers than in previous series’, floorstanding and center channel speakers actually plumb deeper. This is, in part, attributable to the advanced motor/magnet structures: high-temperature copper or aluminum wire voice coils (varies by model) wound on Kapton formers, oversized magnets with all components FEA-optimized. Reference Studio Series geometry! Help achieve that play loud AND play deep effect by allowing longer, expertly controlled cone travel.